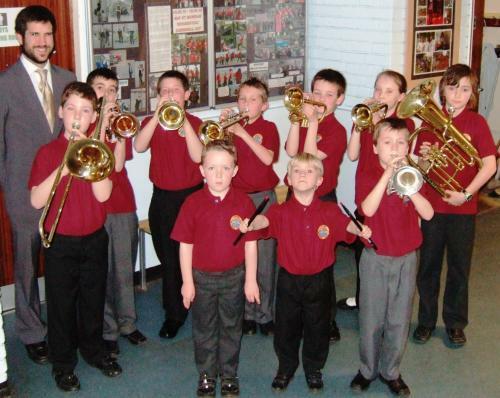 The Band is very pleased to announce that our Junior Band is once again up and running, so if you fancy a go, pop along at 6.00 p.m. any Friday evening - St John Ambulance Hall, Saltash. All abilities welcomed. We currently have over 20 young people regularly rehearsing under the baton of Christie Smith and Jane McKane. Numbers are growing every week. Individual lessons are provided for beginners, until they reach a level to join the bigger group. 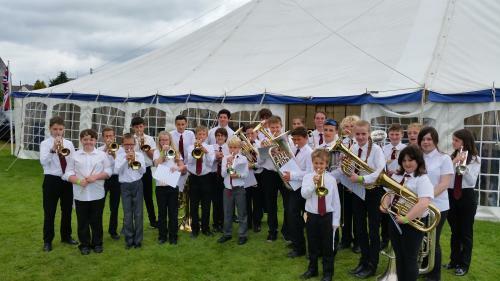 The Junior Band has recently purchased new polo shirts and are now busily fundraising for six new cornets. The Junior Band take their next step in their banding career by entering their very first contest in November 2012 at the Riviera Centre in Torquay. They are busy rehearsing and are getting very excited at this next big milestone. 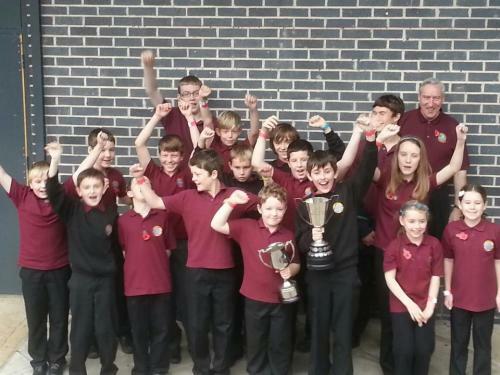 On Saturday, 3rd November 2012 the Junior Band entered their very first SWBBA Contest at Torquay, and came away with First prize and Best Instrumentalist. We are all very proud of this great achievement. They retained both titles in November 2013. 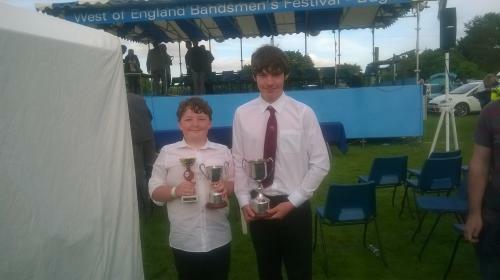 Saturday 18th June 2016 saw the Junior Band return to West of England Bandsmen's Festival at Bugle, where for the second year running they came second. Matthew Pascoe was awarded the Best Player in their section.